Even though Downtown San Diego isn’t overwhelmingly huge, it more than compensates in character, charm, and incredible quantities of vitality. Its focal point is the historic Gaslamp Quarter, which has been called an entertainment Mecca. The majority of the Gaslamp Quarter’s Victorian buildings and facades were built during the late 1800’s, and are now home to eclectic restaurants, nightclubs, trendy bars, boutiques, and art galleries. Intertwined with these wonderful Historic buildings there has been a steady increase in modern urban Gaslamp Condo residential buildings. The Gaslamp Quarter runs North to South and encompasses 4th, 5th and 6th Avenues from Harbor Drive at the South to Broadway at the North. This 16.5 block neighborhood is now recognized on the National Register of Historic Places, and its 94 historically or architecturally significant structures now house more than 125 restaurants, coffeehouses and nightclubs. The Gaslamp is home to many fine Hotels which are frequented by tourists who attend various conventions, are on vacation, or come to see the San Diego Padres play at Petco Park. The Gaslamp Quarter features the gateway corridor to the Martin Luther King promenade, which is a wonderful linear pedestrian park. This park features art sculptures, beautiful landscaping and grassy areas to take Fido or Fifi for a walk. The Asian Pacific Thematic District has a considerable history in the Gaslamp Quarter and several Asian inspired buildings are still found today. Pacific Terrace is a Gaslamp condo building that houses the Chinese Historical Museum at the corner of 4th Ave and J Street. Residents and Tourists also enjoy the relaxation of day spas, movie theaters, the Balboa Theater, Music Venues, and the warm San Diego sun. 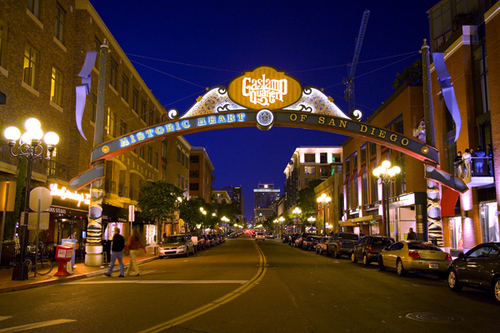 The Gaslamp Quarter hosts many fine events each year to draw the multitude of tourists and residents alike. These events include, but are not limited to Mardi Gras, Shamrock, The Gaslamp Quarter Holiday Pet Parade, Taste of Gaslamp, San Diego Film Festival, The Fifth Avenue Auto Showcase, and Gaslamp’s own Street Market on Sundays. Our office hosts an annual art showcase and we represent buyers and sellers of many Gaslamp Condos San Diego. 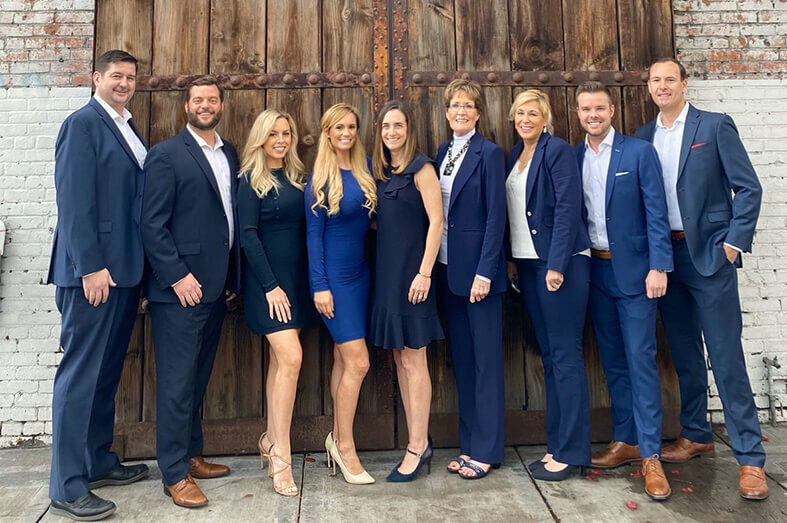 Downtown is booming like never before, and as a result, Gaslamp condo developments are stretching for the sky as people are enamored by the area’s excitement, energy, convenience and inspiring views. Let us help you find the Gaslamp condo you’ve always dreamed of.